Age 60, lifelong resident of Portsmouth, passed away Monday, December 3, 2018 at OSU Hospital in Columbus. He was born June 9, 1958 in Portsmouth to Charles and Ann (Hodge) Bartley. 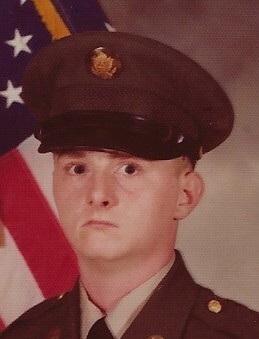 David was a 1977 Portsmouth High School graduate, served in the U.S. Army, and married Corita Swords in Portsmouth on August 6, 1981. He enjoyed watching professional wrestling, NASCAR, taking walks, coffee, and cigars. He is survived by his wife, Corita Bartley; son, David (Amanda) Bartley of Minford; daughter, Kayla Bartley (boyfriend Adam Kendall) of Portsmouth; grandchildren, Dominik, Dakota, Layton Bartley; brother, Timmy Bartley of Nevada; sisters, Diane Gill and Teresa Knapp, both of Nevada. He was preceded in death by his parents. Funeral services will be at 7:00 p.m. Friday, December 7, 2018 at D.W. SWICK-NELSON FUNERAL HOME in New Boston. Friends may call one hour prior to the service. Interment will be private at the convenience of the family. Online condolences may be shared at www.DWSwickNelsonFuneralHome.com.